Min. 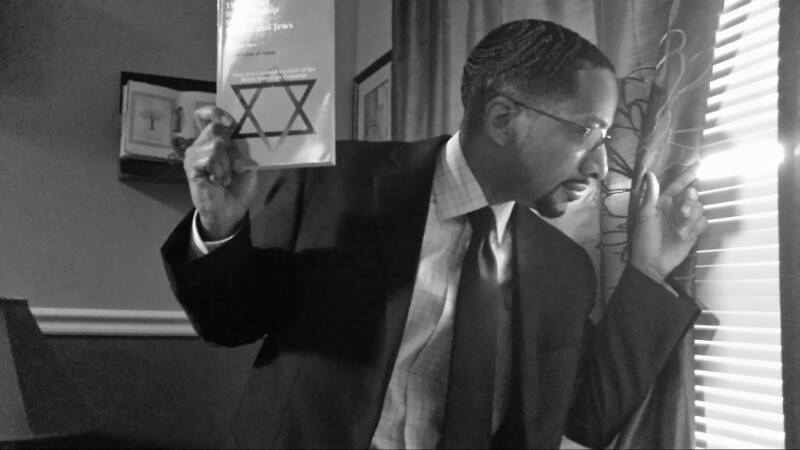 Louis Farrakhan & the Jews: What is the TRUTH? In 1984, Reverend Jackson became the symbol of Black political advancement, registering thousands of Blacks and poor Whites to vote in local and national elections. Hundreds of threats against the life of Rev. Jackson and his family were recorded and several arrests were made. The remains of mutilated animals were left at the home of Reverend Jackson and his campaign headquarters in two cities were bombed. Rev. Jackson enlisted the support of Min. Louis Farrakhan, leader of the Nation of Islam, whose security force, named the “Fruit Of Islam,” secured the life of the candidate. Milton Coleman, a Black Washington Post reporter, mentioned to a White Post reporter, that he heard Jesse Jackson refer to Jews as “Hymies” and to New York as “Hymietown.” Those remarks were uttered by Jackson in a private conversation with Coleman and other Black journalists. The White reporter then reported this in an article the next day. The “Hitler” Remark—What’s the Truth? “Now whether you know it or not, anytime a Black man stands up with justice in his mouth, his life is on the line. You know that, don’t you brothers and sisters? When Jesse decided to run, Jesse decided to put his life on the line. It is unthinkable that we should let our brother go down into the valley of the shadow of death and we say ‘Watch Jesse run. Look at Jesse go.’ It is unthinkable that we should not go down with him so that we may go up with him. I say whether we know it or not, there have been over a hundred real threats on this man’s life already and several people are already in jail for thinking, planning to do harm to this brother. What has he done to merit this kind of thinking in the American public? What has he done? I’ll tell you what he’s done. He’s freed the minds of these young Black boys and girls who will never again think that Black people cannot rule themselves and go to the top, this is what he’s done. What has he done? He stands up for the poor, the oppressed and the locked out. What has he done? He’s extended his hand to the American Indian, the owners of the country who languish on reservation while others live from the riches of their land. He reaches out to the Mexican American, to the Hispanic American. He reaches out to the poor and to the women. But there’s another segment that he reaches out to. He reaches out to Arab Americans. No president or no presidential candidate goes to the Arab seeking Arab American votes. Reverend Jesse Jackson has the nerve to do that and because he had the nerve to want to include all, not some, he’s hated. “I’m saying to the Jewish people who may not like our brother, it is not Jesse Jackson that you are attacking. Remember this now. You’re not attacking an individual. Jesse’s gone past that now. When you attack him, you attack the millions that are lining up with him. You’re attacking all of us. That’s not intelligent. That’s not an intelligent thing to do. That’s not wise. We know that Blacks and Jews have had a good relationship in the past. We’ve gotten along well, because you’re a suffering people and so are we. But my dear Jewish friends, you must understand that everything comes of age. We cannot define our self interest in terms of your self interest. And because our self interests differ because we’ve come of age, why dislike us? Why attack our champion? Why hurl stones at him? Why feed the Press so that they can create a climate into which hatred and bitterness and strife can be poured, creating the same kind of climate that led to the assassination of John Kennedy, the assassination of Martin Luther King, Jr., Malcolm X and Bobby Kennedy. Why create that kind of climate when you have the power to turn it around and show the world that you have sense? Don’t you realize what you’re doing? Press, don’t you realize what you’re doing? Are you as blind as the government? And if the blind lead the blind, both fall in the ditch. You are blind. “You do not realize there are 35 to 45 percent of your armed forces are Black. It is we who you will send to Nicaragua. It is we who you sent to Grenada. It is we who you sent to Lebanon. It is we who will be sent to fight your wars. This is our brother. This is our son. This is our champion. If you harm this brother, what do you think we should do about it? How can we fight for America, if America kills all of our fighters who fight for our justice? This is a foolish thing that you are doing. “So I said to the members of the press, ‘Why won’t you go and look into what we are saying about the threats on Reverend Jackson’s life?’ Here the Jews don’t like Farrakhan and so they call me ‘Hitler.’ Well that’s a good name. Hitler was a very great man. He wasn’t great for me as a Black man (See Hitler’s attitude toward Blacks) but he was a great German and he rose Germany up from the ashes of her defeat by the united force of all of Europe and America after the first world war. Yet Hitler took Germany from the ashes and rose her up and made her the greatest fighting machine of the twentieth century, brothers and sisters, and even though Europe and America had deciphered the code that Hitler was using to speak to his chiefs of staff, they still had trouble defeating Hitler even after knowing his plans in advance. Now I’m not proud of Hitler’s evil toward Jewish people, but that’s a matter of record. He rose Germany up from nothing. Well, in a sense you could say there is a similarity in that we are rising our people up from nothing, but don’t compare me with your wicked killers. “Great” is a word that is assigned to anything that has a lasting influence or consequence. The twelve volume Oxford English Dictionary uses four full pages to define “great” and only one of the definitions suggests a positive connotation. The others refer to the size or magnitude, quantity or scope of a thing or event. Webster’s Unabridged Third New International Dictionary goes even further. Its primary definition refers to a “large spatial dimension,” but it later defines it as somebody who is prominent or of renown, and then uses the examples of “a politician” or “a dictator” or “a creator of political confusion.” Adolf Hitler was all three. Does “Great” here mean “Good”? Some of the “GREAT” Jewish leaders of those massacres against the freedom-seeking Blacks were David Nassy, Captain Forgeoud, Captain Jacob D’Avilar, Manuel Pereira, Isaac Arias, Abraham De Brito, Captain Isaac Carvalho, Moses Naar, Gabriel de La Fatte, Isaac Nassy, J. G. Wichers, Sir Chas. Green, Abraham De Veer. “…America and England and the nations backed Israel’s existence. Therefore when you aid and abet someone in a criminal conspiracy, you are a part of that criminal conspiracy. So America and England and the nations are criminals in the sight of almighty God. Now that nation called Israel, never has had any peace in forty years and she will never have any peace because there can never be any peace structured on injustice, thievery, lying and deceit and using the name of God to shield your dirty religion under His holy and righteous name. Should these Israelis refer to themselves as Jews, one might say that they have “dirtied the religion” of Judaism. Minister Farrakhan regularly teaches that Muslim “big bellied sheiks who live in opulence when their people live in squalor are practicing a dirty religion.” Christians that give the poor a Bible and then exploit their faith and take their natural resources, in the name of God, have dirtied the religion. TV evangelists who thrive off the faith of the gullible and the ignorant have dirtied the religion. This concept is universal. DO YOU BELEIVE THAT ANY JEW SHOULD SUPPORT THIS MAN? WE BELIEVE THAT JESSE JACKSON IS A DANGER TO AMERICAN JEWS, TO THE STATE OF ISRAEL AND TO AMERICA ITSELF AND WE ARE APPALLED AT THE ABSOLUTE SILENCE OF THE LIBERAL COMMUNITY AND MOST IMPORTANTLY, Of JEWISH LEADERS AND ORGANIZATIONS! • “Arafat is educated, urbane, reasonable. I think his commitment to justice is an absolute one. In light of these outrageous statements against Jews and Israel, and in view of Jackson’s support of the PLO architects of murder of women and children, we ask? HOW CAN JEWISH LEADERSHIP BE S0 UTTERLY SILENT? 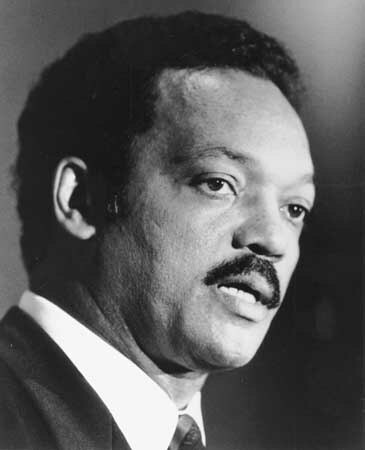 HAD JESSE JACKSON BEEN WHITE, WOULD THE LIBERAL ESTABLISHMENT AND JEWISH LEADERSHIP BE SO CRAVENLY TIMID? We believe that Jesse Jackson is far more powerful then most think. We believe that he is successfully building a coalition of malcontents who will be a disaster for Jews, for Israel, for America, for the free world. We believe that he is successfully moving to a position of power within the Democratic party. We are afraid and we intend to act. WE ARE FORMING CHAPTERS OF JEWS AGAINST JACKSON in every community for the purpose of alerting Jews and non Jews, alike, to the very real threat this man represents. We intend to pressure national and local political leaders to openly condemn Jesse Jackson and cut all political ties and funds to him. WE WILL EXPOSE JESSE JACKSON FOR THE DANGER HE REALLY IS: RUIN, JESSE, RUIN. As Jews and as Amencans you have a deep obligation to join us and DO. The Jackson machine is more powerful than you know and we must stop it. YOU CAN STOP IT. TODAY, fill out the coupon below and help us with the desperately needed funds to make this a nationwide campaign of success. BECOME INVOLVED. Help set up a local Jews Against Jackson group in your neighborhood NOW. JESSE JACKSON IS NO GOOD FOR JEWS, FOR ISRAEL OR FORAMERICA. STOP HIM. RUIN JESSE, NOW. I, too, am afraid of Jesse Jackson’s threat and want to join in stopping him. __________ I want to start a local chapter of Jews Against Jackson in my community. Please contact me.